Enlarged HBM-5TL travelling column borer with increased travel on X/Y/Z axes up to 5500mm/3200mm/2000mm and a bigger working table 2500x2500mm with a loading capacity of 20000kgs. Dia. 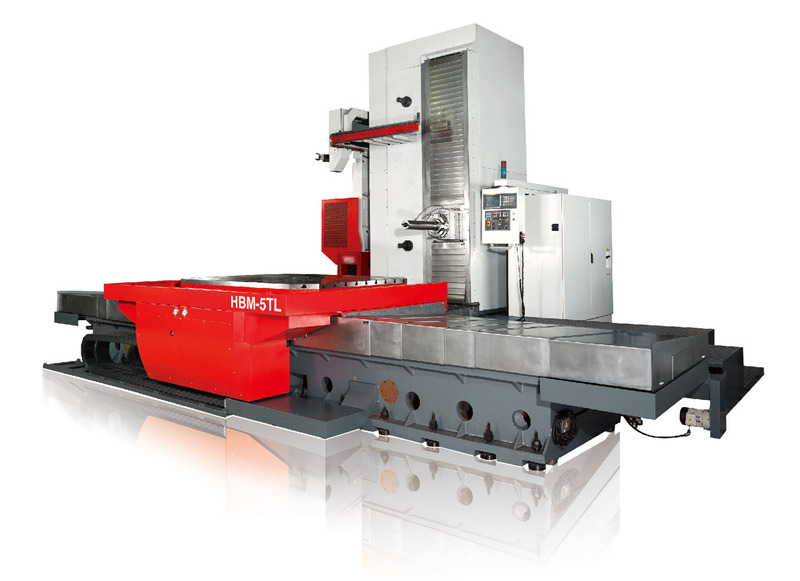 130mm spindle driven by a powerful gear box offers both high power and torque. The machine can be equipped with a wide selection of technological accessories that significantly increases the usability of the unit. Either Fanuc, Heidenhain or Siemens controls can be selected.